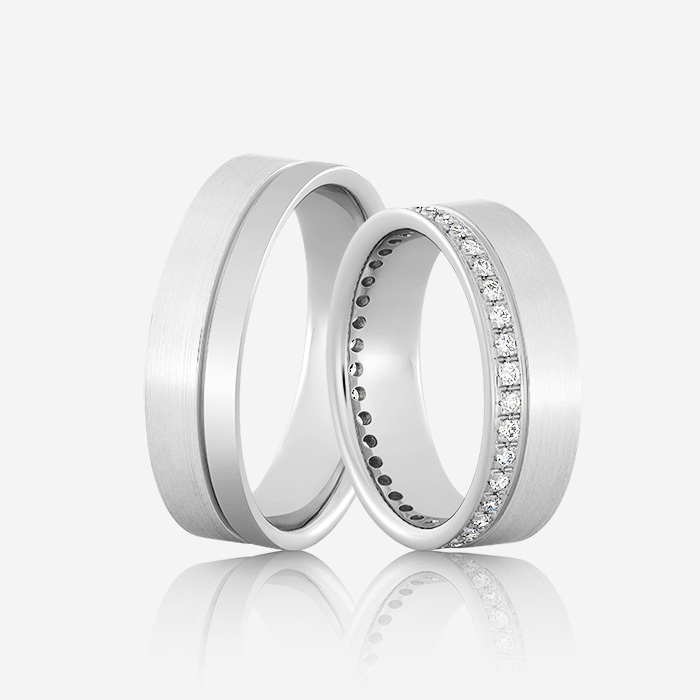 Wedding rings 14 k white gold, interior comfort profile. 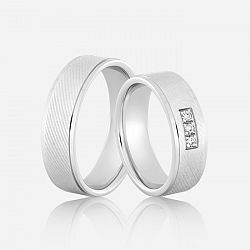 The women's wedding ring is decorated with white diamonds of 0.01ct, G-H / SI. The price may vary according to your size.